Is employee disorganization hurting your bottom line? Are distractions and interruptions affecting productivity? Are inefficient work habits limiting employee potential? If this sounds like your organization, are you ready for a change? Susan offers seminars and workshops at your location to reduce the staff time needed to attend. Participants learn simple, effective solutions that bring quick relief from workplace stress and help them increase their productivity. Susan also works one-on-one with individuals to set up systems to reduce distractions, keep track of action items, and make it easier to find papers, email messages, and computer documents. She teaches techniques that can be implemented immediately to increase productivity and reduce stress every day. I hired Susan to help me create an office space in my home that was a sanctuary. I felt frazzled and stressed every time I entered my office and would move things around, to no avail. She spent four hours here and it was miraculous. She is fun and super knowledgeable and was not afraid to tackle the big dark places I was afraid to. NOW when I walk in my office, I feel calm and peaceful and able to concentrate on my work. There is no better personal organizer than Susan. I would recommend her without hesitation to anyone who feels their space is cluttered, messy and anxiety-provoking. 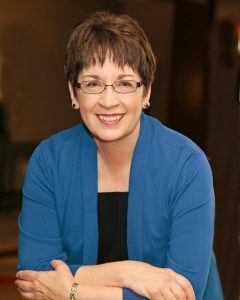 Based in Reston, Virginia, Susan works in Virginia, Maryland, and Washington, DC, and occasionally travels outside her local area to lead seminars and workshops. Call or email Susan at 703-742-9179 or Susan@BalancedSpaces.com to find out more.